Whatever you need, we’ve got a deal for you. Whether it’s a car battery charger or brake pads, power tools or garage equipment, you’ll get the best price from HBA Distribution. We have been at the forefront of the automotive aftermarket in Ireland for a long time, so you can be sure that we have promotions on auto parts and car accessories that no other motor factors in Ireland can match. Check out the latest promotions and offers from HBA Distribution, which are guaranteed value for money. Simply click on the images to view the current promotion catalogue complete with Euro pricing. Check out the latest deals from the Sealey Spring Promotion. The extensive range of professional equipment includes great prices on Hand Tools, Power Tools, Engineering, Garage and Workshop, Bodyshop, Janitorial, Agricultural, and Vehicle Service Tools. Call our Telesales Team today and ensure you’re getting the best promotional price on every item. 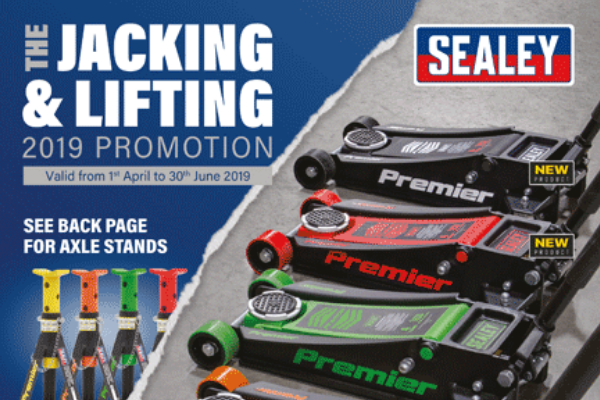 This jacking and lifting promotion has great deals on car service equipment, including trolley jacks, bottle jacks, and axle stands, as well as larger garage equipment including a car lift and gantry crane. Whatever you need, HBA and Sealey guarantee you a deal. Get in touch with HBA Distribution today to get the car jack you need tomorrow! 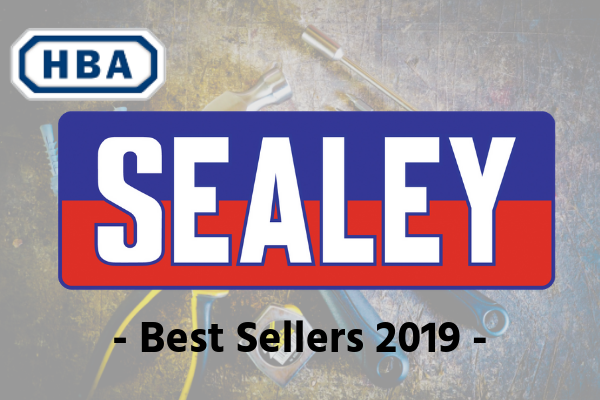 The new Sealey Best Sellers Promotion boasts a vast range of hand tools, power tools, mechanic tools, and workshop equipment. If you need a torque wrench or spanner, socket set or circular saw, you can find all of that and more in this premier selection of Sealey tools. As Sealey’s trusted partner in Ireland since 1985, we deliver on our promise 5-days a week to every county nationwide. Don't miss out on the latest deals from HBA! Call us today.